Derby County will host the first in a double bill of matches against Premier League opposition this weekend when Southampton visit Pride Park. Saturday’s game will be followed a week later by an encounter with newly-promoted Wolverhampton Wanderers as Rams boss Frank Lampard aims to gauge his players’ progress against sides that finished not too far above Derby in terms of overall league positions last season. The Saints, managed by Mark Hughes, have signed three players so far in the summer transfer window. Midfielder Stuart Armstrong has arrived from Celtic for £7 million while they also splashed the cash on striker Mohamed Elyounoussi from FC B asel for £16 million. Goalkeeper Angus Gunn has also arrived, having joined from Manchester City on a free transfer. 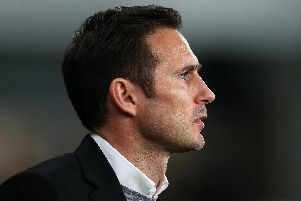 Meanwhile, Lampard oversaw his first match in charge last Saturday as Derby beat Notts County 4-1 at Meadow Lane. Goals from Luke Thomas (2), Mason Bennett and Tom Huddleston secured a comfortable win. The Rams were then due to visit Mansfield Town on Wednesday night, and between the Southampton and Wolves games, will play Coventry at Nuneaton next Wednesday evening.